Humanitarian Father Gabriel Mejia and filmmaker David Lynch are two of the speakers at ChangeMakers: Disruptors Transforming the World for Good April 6–7. Young or old, we all benefit from having a clear purpose in life, a North Star to guide us on our journey. Discovering and constantly refining this mission is a lifelong quest that always unfolds new pathways and dimensions. Some far-sighted visionaries have mastered this process in a way that benefits and serves humanity. These are the real changemakers—those who have found a radical way to improve the lives of their friends, family, countrymen, and global family. On April 6–7, leading changemakers will converge at a conference to explore what it takes to make a difference on this planet. ChangeMakers: Disruptors Transforming the World for Good, at Maharishi University of Management (MUM) in Fairfield, is the first event in a new Changemaking Series, hosted by MUM and the David Lynch Foundation (DLF). Each of the guest speakers in the ChangeMakers conference—including filmmaker David Lynch, MoveOn.org’s Laura Dawn, and former Army Ranger Dusty Baxley—is an individual who perceived a clear need in their environment and disrupted the status quo to find solutions. Delivering the keynote address will be Father Gabriel Mejia from Colombia. Father Gabriel found his own mission at age 37 when he saw the streets of Medellin filled with unwanted children, the so-called “disposable ones.” As a man filled with love and the unbounded energy to change lives, he responded by creating the city’s first shelter, a sanctuary for children to find a good meal and a safe place to sleep. Thirty years later, his Hogares Claret Foundation runs 52 such centers that have rescued and restored dignity to over 100,000 children and young adults. Father Gabriel has been responsible for rescuing over 100,000 children from the streets of Medellin and establishing dozens of orphanages in Colombia that use innovative therapies to turned at-risk children into responsible young adults. 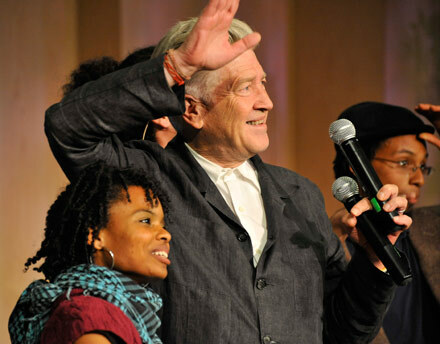 Iconic filmmaker David Lynch demonstrates that artists also serve as changemakers. 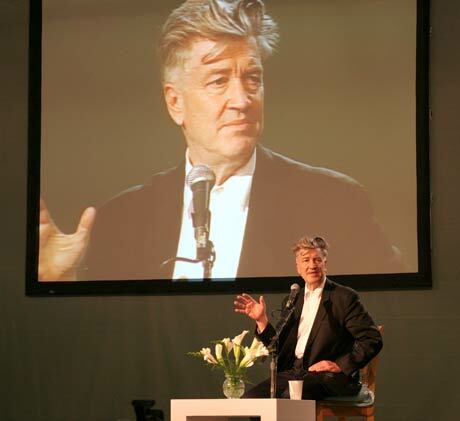 In addition to his boundary-breaking career as a director, Lynch created the David Lynch Foundation 13 years ago to help ease the epidemic of trauma and stress among at-risk populations by teaching these groups Transcendental Meditation (TM). 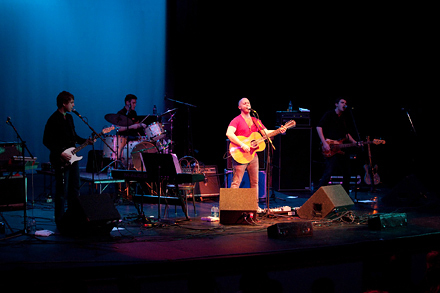 Lynch’s deepest desire was to “ensure that any child anywhere in the world who wanted to learn to meditate could do so.” Through benefit events featuring high-profile celebrities such as Paul McCartney, Ringo Starr, Hugh Jackman, Jerry Seinfeld, and Katy Perry, the foundation has raised funds to teach TM to over 500,000 students, veterans with PTSD, and survivors of abuse. David will lead a session via Skype exploring his changemaking process both as an artist and through the work of his foundation. Laura Dawn is a powerhouse changemaker who is a founding member of political action group MoveOn.org. Dawn has spent the last decade leading groundbreaking cultural campaigns that garnered over 500 million online views. Her forte is creating viral content and organizing high-level collaborations between renowned artists and grassroots activists to spur action for social change. She is joined by her partner and cocreator Daron Murphy on her latest initiative, the cultural strategy firm ART NOT WAR. There will also be several speakers from Chicago’s inner city from DLF’s collaboration with the University of Chicago Crime Lab. Nakisha Hobbs is the principal and cofounder of Village Leadership Academy, where the primary focus is to transform urban youth into global leaders. Incorporating the DLF Quiet Time program as a foundation, the school trains inner-city youth to be the next generation of changemakers. Barry “Ra” Frye grew up on Chicago’s South Side and had to overcome his own experience with PTSD before returning to his neighborhood to begin rebuilding the community. His goal has been to transform gang leaders through the Passages program, which incorporates TM. Dusty Baxley is a veteran who served two tours of duty as an Army Ranger specializing in combat parachute assault. After returning to civilian life, he found that many of his fellow veterans were falling into depression and even committing suicide. In response, Baxley dedicated his life to bringing relief, healing, and hope to active-duty veterans and former military personnel experiencing PTSD. All of us are potential changemakers, living in a world that constantly changes. If we can learn to ride these waves of change and exert our own unique influence on them, we will have found the changemaker within. The ChangeMakers event is free and open to the public at Maharishi University of Management. For more information, visit ChangeMakers.